I’m working my way though the beautiful lipsticks available at natural beauty store Love Lula*. 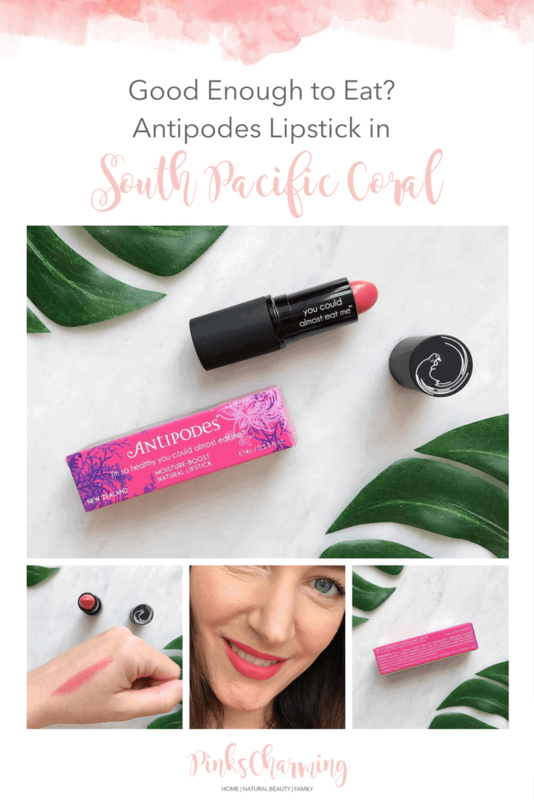 My latest discovery is Antipodes Lipstick in South Pacific Coral*. 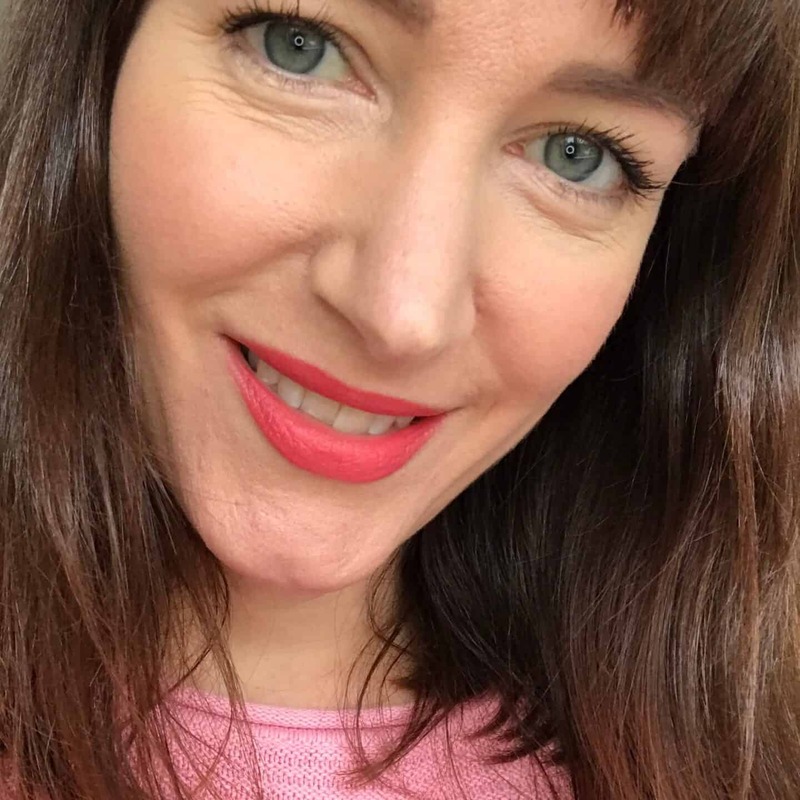 I’m impressed with the Antipodes skincare I reviewed before,and I’m pleased to say this lipstick is just as lovely. The strapline for the Antipodes Lipstick is “I’m so healthy you could almost eat me”. 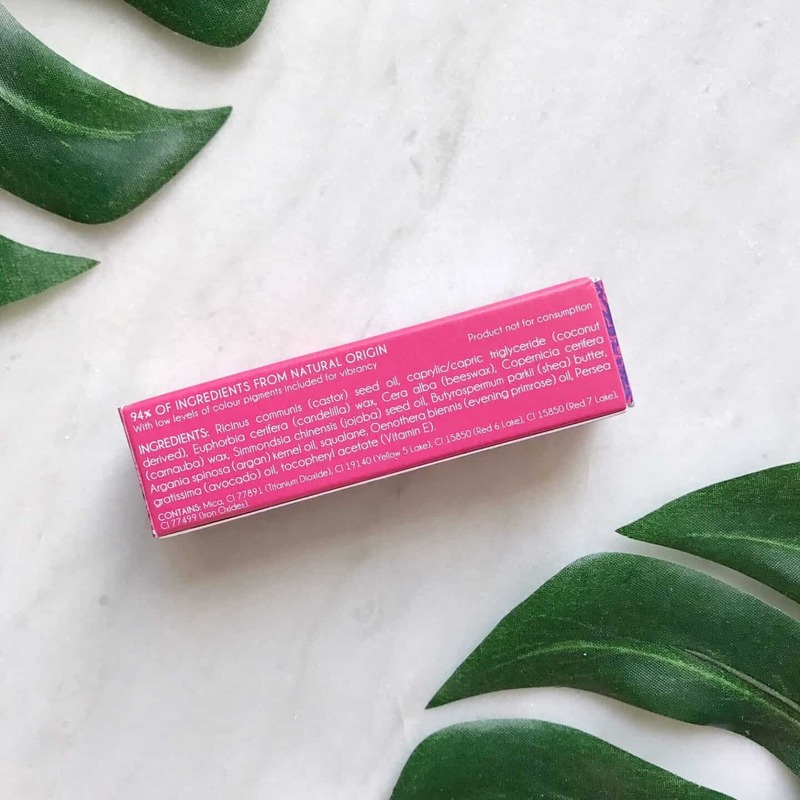 A bold claim, but here are the 94% natural ingredients, including castor seed, coconut, beeswax, jojoba and avocado oil. Ideally I’d like 100% natural, but 94% is still a big improvement from most lipstick on the market. It’s a beautiful warm pink shade, and very wearable. I haven’t run any filters over this picture so you can get a true idea of the colour. 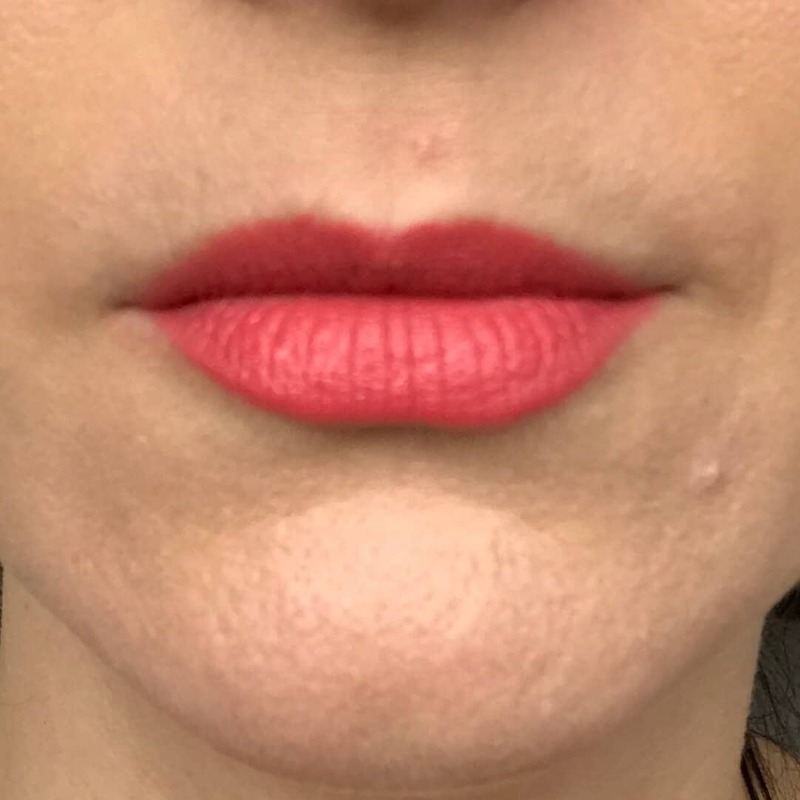 Antipodes Lipstick wears really well for a natural lipstick, as you can see from these pictures I took at 10 and and 2pm. I just used one coat, and no lip liner and there was no feathering, and the colour was still there around the edges. Freshly applied Antipodes Lipstick at 10am: I just used one coat, with no lipliner. 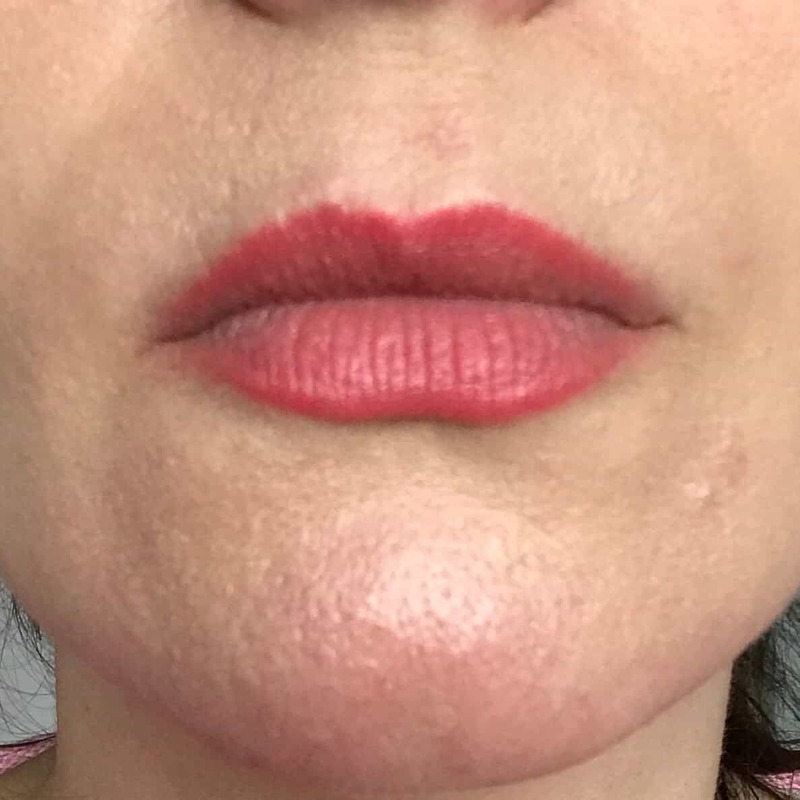 Antipodes Lipstick at 2pm after lunch: it looks like lipliner around the edges but is still clinging on! 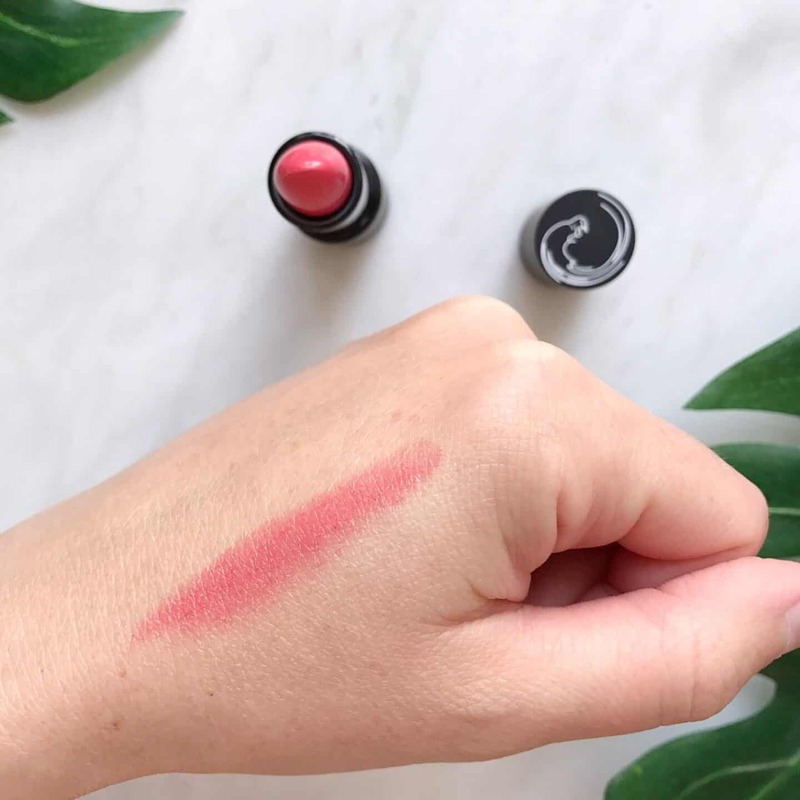 It gives a lovely sophisticated soft matte look, which is surprising considering how many moisturising ingredients are in it. 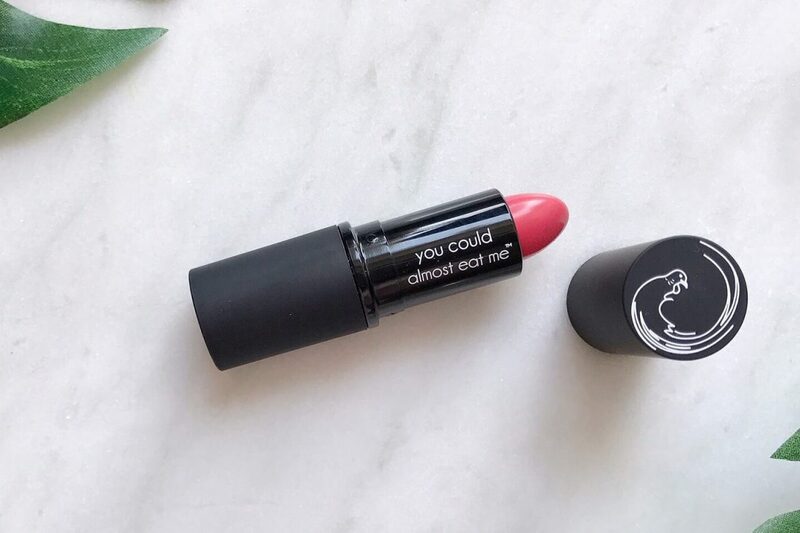 It feels like a rich lip balm and that feeling lasts as long as it wears for. I’m impressed! 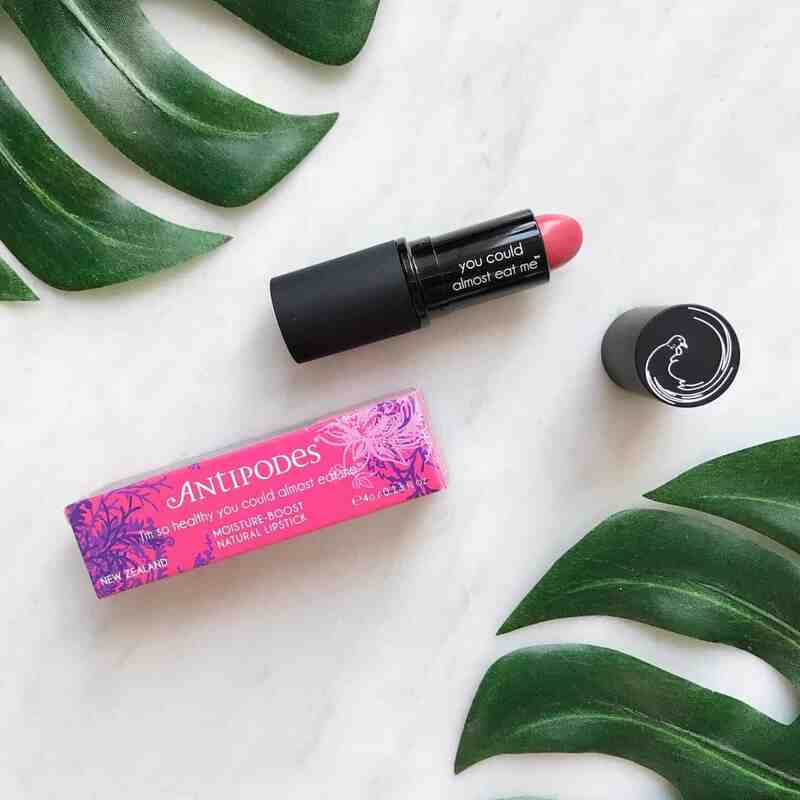 Antipodes Lipstick is available at Love Lula for £19.99*. It’s available in 12 gorgeous colours*, so even if Coral isn’t for you, I bet you’ll find a shade you love. Here is a little vlog I recorded so you can see how easily it applies. If you enjoyed this review, please Pin it for later. This is my first one and I love it. Definitely want to look at other colours.